Worried you are not outgoing enough for a Nagomi Visit? We asked Cheryll and Felix who visited Japan for the first time for their honeymoon and visited one of our hosts, a couple in Nara. Each Nagomi Visit is unique and this is Cheryll and Felix’s Nagomi experience. I read about Nagomi Visit in an Instagram-Post and was immediately hooked, but when I told Felix about it, he was a bit sceptical. We are both not too outgoing, so visiting people you've never met, and whose language you don't speak, "just like that" probably felt a bit weird. But I was pretty excited about that idea, so he agreed - and in the end we are more than happy about our day with Naru and Kaori. Not long at all! Naru and Kaori met us as the train-station, well prepared with a map and additional info-material (they're quite experienced Nagomi Hosts). 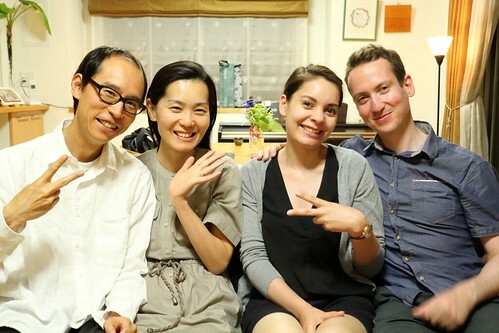 They are a lovely couple and I wrote some emails with Naru beforehand, so I felt no need to be nervous. We went for a stroll right away, and learned so much about Nara and Japan in general. Naru even brought his camera and shot some photos (I'll attach some). Definitely! Before dinner, we went to the Park in Nara, visited shrines and temples and Naru and Kaori explained so much to us. We would've never learn so much about Nara and Japanese Culture if we went by ourselves - and probably would've missed out some beautiful places Naru showed us as well. Was participating in a Nagomi Visit different from other travel activities with your partner? Was it more relaxing since you are in a home with someone? Or did it make you nervous? The only other activity we booked was a day at the Sumo-Tournament in Tokyo, so it is hard to compare to our experience with Nagomi Visit. 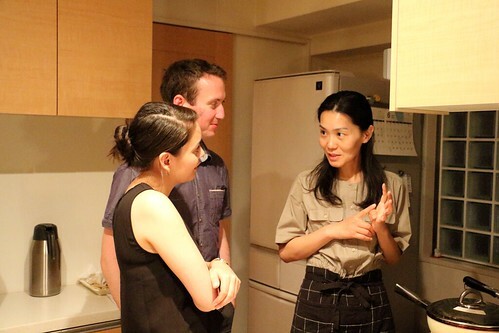 But being at Naru and Kaori's place didn't make us nervous at all, we got to know them a little on our little tour through Nara and after that (it was a pretty hot day), we were pretty happy to arrive at their apartment for tea, dinner and a little break. Maybe not so much differently, but there are some things we thought more about, after spending the day with our hosts - for example the japanese working morale, the day to day life and so on. Just go for it and don't be afraid! Of course, there's no guarantee that every host is as great as ours were ;) - but spending time with locals is an amazing, enriching experience that you shouldn't miss.